~Psalm 19:7-14 7 The law of the LORD is perfect, converting the soul: the testimony of the LORD is sure, making wise the simple. 8 The statutes of the LORD are right, rejoicing the heart: the commandment of the LORD is pure, enlightening the eyes. 9 The fear of the LORD is clean, enduring for ever: the judgments of the LORD are true and righteous altogether. 10 More to be desired are they than gold, yea, than much fine gold: sweeter also than honey and the honeycomb. 11 Moreover by them is thy servant warned: and in keeping of them there is great reward. 12 Who can understand his errors? Cleanse thou me from secret faults. 13 Keep back thy servant also from presumptuous sins; let them not have dominion over me: then shall I be upright, and I shall be innocent from the great transgression. 14 Let the words of my mouth, and the meditation of my heart, be acceptable in thy sight, O LORD, my strength, and my redeemer. 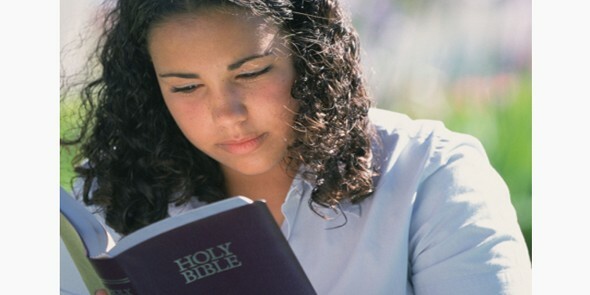 Why is it so important to read God’s Word? If you have a class at school to learn how to speak Spanish, do you actually read and study the school book? If you want to learn about galaxies and the universe, do you read and study your school book in order to be able to tell between stars and planets? Of course you do. Anyone who wants to know anything about a certain subject must read and study a book on that subject. You may cram at the last minute but you won’t remember anything a week later. 1. There are many words that describe the Bible: Law, testimony, statutes, commandment, etc. God’s Word is perfect so that means that you can trust God’s Word because it has no mistakes. It will always be perfect. 2. God’s Word converts the soul and saves people. 3. God’s Word makes even the simplest of minds (young or uneducated minds) wise. 4. God’s Word enlightens the eyes – it’s like the song Amazing Grace – I once was blind but now I see. Psalm 119:105 says it’s a lamp unto our feet and a light unto our path. God’s Word will not lead you to sin but lead you away from sin. 5. The more you read God’s Word, the more reverence you will have for Him – the word used here is fear but it does not mean to be afraid but to respect and revere. His Word judges your sins and exposes those sins so you can repent and be free from it. 7. God’s Word warns you about certain people and situations. You learned yesterday about certain people you hang with will cause you to rebel against parents. God’s Word brings great rewards when you listen to those warnings. It keeps you out of trouble. 8. The Bible can help you spot error in our lives and expose those “secret sins” that no one knows about but you. 9. God’s Word can keep you from sins that have “dominion” over you. A good example is lying – if you lie often, you will find it very difficult to give up that sin. Psalm 119:9 says that you can cleanse yourself from these sins by obeying God’s Word. 10. God’s Word becomes a part of your heart as you listen and obey it. As a result, the words that come out of your mouth will be pleasing and acceptable to God! Notice this verse ends with calling God his Lord, his strength and his redeemer. David learned that God’s Word was the most important thing in life to him. The Scriptures gave him strength and through them David learned about his redeemer and he, most importantly, learned that he needed a Redeemer! 🙂 Is it any wonder that the devil does not want you reading your Bible, teenager? He knows how smart you are – he knows that if he can distract you and keep you from reading and studying your Bible, you will become rebellious toward the things of God.